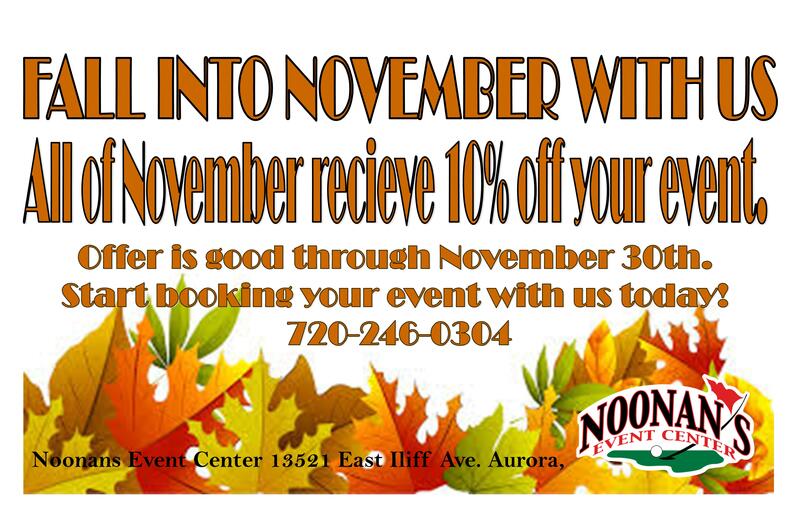 Noonan's Event Center – We don't just host events. We host memories. We don't just host events. We host memories. 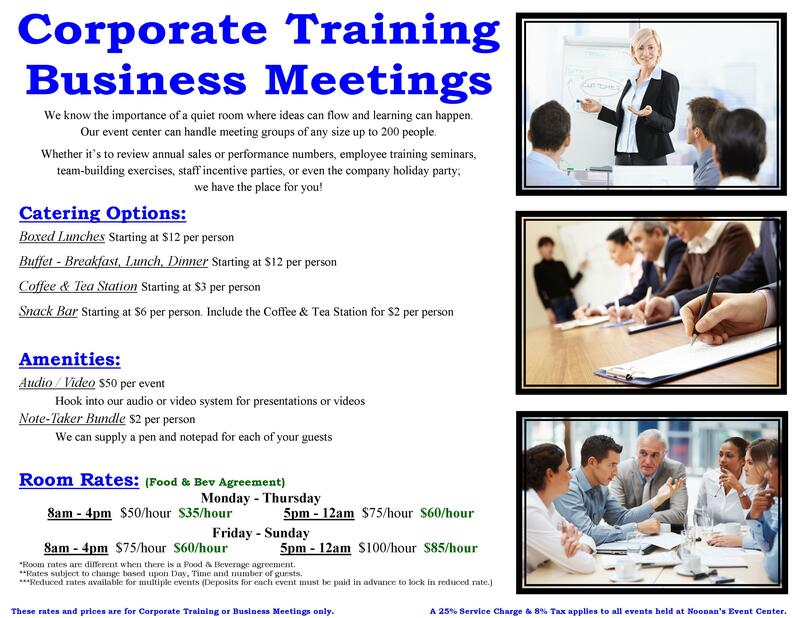 Looking for a quiet room to hold your Corporate Training classes or Business Meetings? 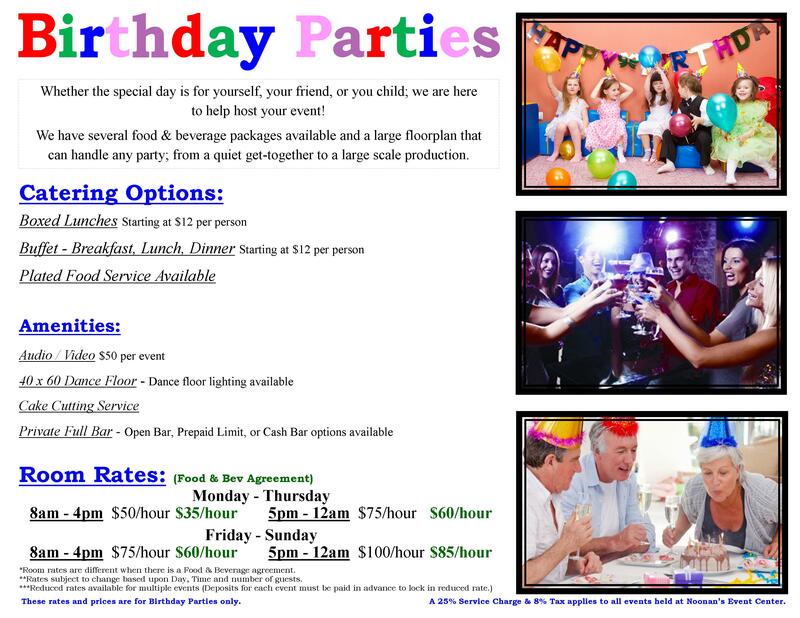 We can help with our exclusive packages for the business professional!